Are you finding it challenging to stay current with the shifting DME billing landscape, thanks to the new regulations introduced by policymakers? Are you worried about shrinking collections, the cost of training new hires for billing functions, increasing billing errors, and suspended operations when staff goes on leave? Then, outsourcing DME billing services is the best bet for your organization! If neglected, all existing problems can escalate leading to more downtime and loss of revenue. If you are constantly bogged down by these challenges, then outsourcing DME billing services to Outsource2india is your safest choice to bounce back from adversity. We never take a day off and work round the clock to bring you better reimbursements. Lower reimbursements can be bad for revenue cycle management especially when the cost of durable medical equipment is skyward. We take radical care to review your claims before sending it to insurers. We proactively check policy compliances to ensure all documents are in place to avoid attracting audit. In case discrepancies are detected, we also recommend ways to rectify errors. Be it standardized or customized billing we have the expertise that you are looking for to handle an array of billing functions. The key to decreased denial is to avoid missing key documents while filing claims. We maintain a document checklist that includes patient information, order entry data, as well as prescription and relevant diagnosis data. Once all documents are aggregated and verified, we proceed to file the claim. Using a reliable verification software, we verify the eligibility criteria to ensure that applicant profile matches the minimum requirement norms of insurers. We also verify the claims to look for errors in the form fill-out. Keeping track of collections can be a challenge amidst many other tasks, which is why we monitor your collections and receivables from multiple sources and maintain a comprehensive account of all captured payments. Insurers are liable to pay clients only for DME services that do not fall under convenience or luxury purpose. The rules prohibit claimants from getting reimbursement for services availed without prior authorizations. So, we take secure authorization beforehand to avoid complications with payers. To ensure a clean-claim process, we carry out billing audit by backtracking all processes from the creation of purchase order to invoicing the client. This prevents unnecessary discrepancies which may arise due to erroneous or double billing. As part of DME billing solutions, we provide effective denial management services when claims return to DME companies. Be it flaws in billing or documentation, we review the claim to find missing link and rectify the shortcoming before resubmission. Once you outsource DME billing services to us, we screen your insurer's requirement and begin gathering documents that are essential for claims processing. In this process, we also verify the accuracy of paperwork to avoid errors. If you are in a dilemma whether authorization is required for services, it's time to consign your worries because we verify with payers if authorization is mandatory for services and if required we obtain authorization ahead of the service. As a DME billing company which understands varying client preferences, we customize the bill just the way you want for your team to keep track of and efficiently utilize the data. As a company with a global footprint, we inculcate claims filing practices that are up-to-date. Electronic submission of claims can put to rest all concerns about denial and unauthorized modification of claims. It also speeds up the time taken to get reimbursed. After filing the claim, we keep a tab on the progress achieved in claims processing. We follow-up with payers on a regular basis to ensure good momentum and eventually, a clean-claim. We provide 24/7 support to clients anytime, anywhere because we preach and practice accountability for all projects we undertake. We got you covered when you need our help. Why Choose O2I for Offsite DME Billing Services? Billing functions, if done negligently, can result in delayed payment or worse, denial of claims. Dealing with returned claims can be costly and time-consuming. It can come in the way of generating revenue for the business. Most third-party DME billing companies only go as far as filing claims and forwarding them to the payers, mainly focused on fattening their own collections. But we go an extra mile in ensuring that the filing process is carried out with due diligence and completeness without you worrying about downtime when claims come back out of negligent billing practices. When it is time to get paid, the focus turns to the accuracy of invoice. When invoices and supporting documents fail to justify certain services it becomes a financial burden for payers, which is why it is essential to produce bills with the highest level of accuracy and comprehensiveness. We file your claims electronically from a secure infrastructure with absolute internal control over billing functions. We understand the importance of having the right people responsible for coding and billing functions. With 8+ years of experience in the advanced billing software our coders and billers are certified professionals who are aware of the ICD-10, ICD-11, and DSM-5 coding conventions. We provide highly customized financial reports that capture all collections in depth leaving no stone unturned. Our high-quality HIPAA-compliant services also come with weekly, monthly, and quarterly reports that can be useful for internal auditing and recordkeeping purposes. Revenue generation can suffer when payments are irregularly tracked. DME companies can lose thousands of dollars if they are busy to track the payments owed to them by clients and payers. This can be avoided by partnering with us because we dedicatedly follow-up on receivables to ensure your income is continuous. 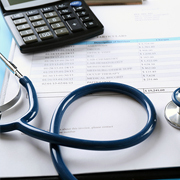 Our team of medical billing and coding experts provide global clients with highly cost-effective DME billing services. We not only believe in providing our clients with affordable services but also help them with ways to improve their business revenues. Our DME billing processes are all HIPAA compliant and you can be assured that all the critical information we deal with are completely safe and away from any unauthorized access at all times. Clarity in communication is absolutely essential to foster a good relationship with clients. Be it statements or claims form, we take the responsibility to customize the missive in a way that matches the client's requirement. This allows them to easily share the same with their partners and stakeholders without hassles. Our job is not just limited to DME billing and coding. We also offer high-quality training for your staff so that they accurately perform the groundwork such as collecting and scanning the documents, checking for errors, etc. When errors are spotted at the source, it mitigates chances of denials. When you want access to all billing records on the go we offer a convenient way to let you stay on top of every record anytime, anywhere through the Internet. No more unnecessary delays and anticipation on the claims status, thanks to electronic claims submission - a step closer to accurate and safer way of filing claims. Electronically filing claims can help you circumvent unnecessary paperwork which is otherwise prone to damage or misplacement. It is important for us to let our customers have peace of mind while working with us. So, we populate our reports with reliable information on all payments and the progress achieved in the process. Our team of experienced medical billing and coding experts can provide you with a free trial of our services. Once you approve of the quality of services we provide, you can outsource the entire project to us. We leverage the latest and updated versions of the best DME billing software such as Brightree and Health Fusion. We can help you enroll your practice into any of the new software as per the requirements. We understand the importance of the privacy and confidentiality of the patient and hospital data. We use secure FTP and other safe file transfer applications which ensure that all your files are completely safe with us. We can also remotely log in to your system and work on the files. Our team of medical billing experts provided a Maryland-based client with high-quality AR Management and medical billing services. Our services brought down their AR days down from 34 to 23 and increased their collection percentage from 53% to 61% in just six months. Hello, I wanted to reach out to you directly and express my gratitude on the hard work that the Data team as well as the AR team has done with EJ practice. I have pushed both teams extremely hard over the past month and their efforts, as well as ours, have paid off. Outsource2india is a trusted name when it comes to medical billing and coding services. As a 19-year-old ISO-certified provider of DME billing services in India with extensive experience working on thousands of hours' worth of DME billing projects, we have enjoyed being at the apex of this industry. We use cutting-edge billing tools to offer cost-efficient billing services which can bring you the best value time and cost-wise. If your objective is to secure maximum reimbursement and bring profits to your revenue cycle management, take the best step by choosing a partner like O2I which is backed by the latest IT infrastructure to handle any billing requirements. We also provide Plastic Surgery Billing Services, ambulance billing services, EMS billing services, radiology medical billing services, and more.